Aphrodite 1994 offers Up to 70% Off Men's Designer Clothing Sale Items. 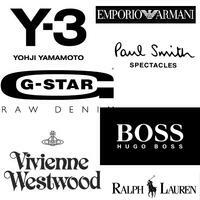 Including brands: RALPH LAUREN, PAUL SMITH, HUGO BOSS, VIVIENNE WESTWOOD, Y3, G-STAR and more. Shipping starts at £10 to all over the world. No tax for all products.